Nobel Prize winning economist Paul Krugman has an opinion in the New York Times about denialists, aka deniers, those who deny global warming’s reality, its cause (us), or its danger. What he calls them is: depraved. Yes, they are — as long as their arguments are made in good faith. But there are almost no good-faith climate-change deniers. And denying science for profit, political advantage or ego satisfaction is not O.K. ; when failure to act on the science may have terrible consequences, denial is, as I said, depraved. And these motives matter. If important players opposed climate action out of good-faith disagreement with the science, that would be a shame but not a sin, calling for better efforts at persuasion. As it is, however, climate denial is rooted in greed, opportunism, and ego. And opposing action for those reasons is a sin. That’s quite a set of strong opinions from Krugman. Regarding his early thesis, I agree with him that there are almost no good-faith climate-change deniers. The motives he identifies make sense to me. Certainly money is involved, the Koch brothers and Exxon and BP just start the list of those with a lot on the line. Ideology is also at stake; facing up to global warming means environmental regulations, free-market ideologues don’t like that. And ego? Damn right. Kill civilization? I hope not. But I realize that it’s possible. And even if civilization isn’t killed, global warming will hurt. A lot. What to do, is an open question. But deny science to avoid having to face it? That’s deranged. Is it really a Republican-party thing? You bet it is. So on the whole, I’ll agree with Krugman that “depraved” is an appropriate term. I think that, at this point there is another motivation for the deniers who took money in return for their lies and for the people who paid them. Its this: once the denial stops, the demand for their punishment will start growing, and will grow ever louder and louder. Risking human civilization for greed and ideology. No sane man would do so. Especially as denial will become more untenable as time goes on. Their stupidity will inevitably destroy the republican party as the impacts of climate change effect ever greater numbers. Agreed. But I have to ask, is civilisation sustainable? Krugman is an avid economic growth supporter. It’s hard to see civilisation surviving unless a) growth stops and b) somehow behaviours change to be sustainable. It seems to me that civilisation, as we know it, is doomed to die regardless. At least he’s right about climate change deniers, though. ‘Civilisation’ and ‘infinite growth’ are not the same thing, despite conflation in recent times. It’s quite possible to imagine a steady-state civilisation of some sort, although we do find it hard to grok how the economics of such a thing work. We pretty-much used to have such a thing up until the middle ages, when really nothing much changed very fast for a very long time and both technology and population growth were very slow. What I am saying is that stopping the ever-increasing resource-use in order to get every-increasing growth does not mean that civilisation is ‘doomed’. It just needs to adjust. Read ‘Prosperity without Growth’ for an economist’s view of this subject. I agree that “civilisation” and “infinite growth” are not the same thing but growing economies constantly will certainly lead to an end of civilisation unless that civilisation plans for an end to growth. But it’s not just growth that depletes and destroys the natural world, it is also the unsustainable use of resources, even if that use isn’t growing. I, like you, have difficulty imagining a steady state economy (not that that means it will be sustainable, by the way) since nothing in our economy and monetary system works with that sort of system (e.g. how do you start a new business, how do you employ more people, and so on), so there would need to be a huge adjustment to our behaviours. Yes. The single most fundamental issue, I think, is that the economy becomes essentially a zero-sum game. Right now, for instance, the issue of immigration is animated to a large degree by the almost certainly false idea that immigrants ‘steal jobs’–economists in general think that immigration creates jobs over time at least, via economic growth. But in a zero-growth economy, for anyone to ‘win’ in economic terms requires that someone else lose, since the size of the pie is fixed. Given the observable priorities of human nature as we know it–principally, that ‘whose ox is gored’ is *always* a salient question–that’s not a cheerful prospect. But the physics says that we’ll have to figure it out, somehow–which is why we need to be talking about it now. Equity and ZEG must somehow co-exist–unless we opt for a new feudalism in which privilege is permanently frozen in predetermined patterns of social hierarchy. Sadly, it’s not hard to imagine that alternative. Call it the divine right of Facebook. I disagree with PK on this point: “If important players opposed climate action out of good-faith disagreement with the science, that would be a shame but not a sin…” Maybe it’s just his use of the term “good-faith disagreement.” To me it implies that one can have no science to support his global warming denial, but if he really really really really believes AGW is false, then it is good-faith disagreement. But when the science establishing AGW is overwhelming and there is such a paucity of evidence against AGW, then believing the paucity of science over the overwhelming science really is a sin. It can’t be called good faith no matter how many times you write “really” before “believe.” To believe AGW is wrong requires having a different science-based explanation for all the data. There isn’t one. There is good-science disagreement about climate sensitivity that can be called good-faith disagreement, but it is disagreement about the meaning of accepted scientific results, not denial of those results. I reluctantly have to disagree with the statement that there are no good faith climate deniers. This drastically underestimates the ability of people to deceive themselves. I have seen a woman with a PhD argue that because dry ice is used to keep ice-cream cold, CO2 could not be causing global warming. I am fairly sure she actually believed that this was a valid argument! But “good faith” applied to the belief of a climate denier must require that the denier has a basic understanding of the science he is denying with. You can’t call your disagreement with AGW a good faith disagreement if you don’t understand AGW. I have to sub-divide that particular hair even further and ask “Whence the failure of understanding?” To me, inability to understand the science because of, for instance, drastically inadequate scientific background would be an instance of a ‘good-faith’ disagreement*, whereas the inability to understand it due to a persistent refusal to engage with it using one’s actual capacities would be bad faith in action. And that’s mostly what I see: the ‘PhD dry ice lady’, my petroleum geologist brother-in-law, and (on the topic of smoking) my late mother are (or were) all examples. Put simply, they are/were being dishonest with themselves first. At some level–and I believe it need not be conscious–they put what they wish to be true over what they actually do, or could, assess to be true. *I don’t mean to let the truly incapable totally off the hook here; if they are incapable, then properly they should maintain decorous silence about what they don’t understand, and leave discussion to folks with something sensible to say. But, of course, they do not necessarily realize that they don’t understand, and they are also vulnerable to victimization by bad-faith denialists acting out of PK’s three motivators who have, or pretend to have, some level of expertise. And ‘incapable’ and ‘capable’ aren’t really binary choices; nobody’s expertise is complete and perfect. I dare say most of us here are not pros in climate studies, though the level of expertise is clearly well above the norm for the population as a whole. Ignorance has an air of innocence about it, that might be dressed up as good-faith, but of all the reasons to dispute science it is one of the least reasonable. Isn’t the false sceptic premise that if they don’t understand it, it can be deemed to be wrong? It is a “principle” that can be applied to anything they don’t understand, can’t understand or choose not to understand. Both of these would be examples of bad faith in my book, however, in that both represent a decision, conscious or more probably not, not to try to use one’s capabilities to discern the truth. Yes, that would be an example of Ken’s ‘soft corruption’ in action. The Judgment and Decision-Making (JDM) Lab at the University of Michigan is located between the School for Environment & Sustainability and the Stephen M. Ross School of Business. The Lab is staffed primarily by graduate students who are conducting hypothesis-driven research toward a Master’s or a Doctoral degree, and by post-doctoral associates who are adding to their established research portfolios. The overarching mission of the lab is twofold. On the one hand, we conduct research that adds to our collective understanding of how individuals and groups instinctively make judgments and decisions. On the other, we are interested in developing and testing tools and approaches that can help to measurably improve people’s judgment and decision-making capabilities. Climate denial and obstruction is about entrenching institutionalised cheating – giving permanence to an unsustainable amnesty on externalised costs. The costs don’t go away by not counting them. In this case, they don’t go away, ever. (In terms of human lifetimes). 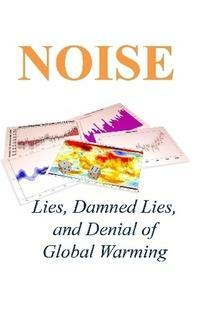 Climate science denial has no redeeming features and the “depraved” label is, I think exactly right. Denialist counter-messaging has undercut every legitimate attempt to communicate effectively and build the commitment needed to act. If cheating is deliberately built into our management of our most significant activities and our responses to our biggest problems, then I think warnings of climate change leading to the end of civilisation are legitimate. Not because of global warming per se, but through our mismanagement making this solvable problem unsolvable, making solutions less effective and the consequences of crises that are created or exacerbated by climate change made much worse. The potential for serious international disputes between WMD armed nations is heightened. More than anything, I think the climate problem is a test of our civic institutions – a test of their ethical foundations as much or even more than of their competency. Corrupt institutions can’t do it and will lead us to failure. Incompetence and mismanagement leads to failure – but these are much more likely where corruption is entrenched. Whether it is “hard” corruption, where appropriate legislations exist but are bypassed for corrupt payments and favours, or “soft” corruption where laws are tailored to avoid accountability through the use of corrupt (but technically legal) influence, the result is our precious institutions are made ineffectual through corruption. This is not about capitalism versus socialism, it is about responsibility and accountability. There is nothing innately anti-free enterprise in wanting accountability and costing of externalities. There is nothing innately anti-sovereignty in wanting nations to enter into international agreements knowingly and willingly for mutual benefit. It will be “capitalist” entrepreneurs, doing innovation and industry at unprecedented scale – and making profits – that will be key to a transition to low emissions. I think Ken Fabian’s analysis is quite astute. Thank you for sharing your thoughts and analysis. “CEOs of fossil energy companies know what they are doing and are aware of the long-term consequences of continued business as usual. In my opinion, these CEOs should be tried for high crimes against humanity and nature”. What about stupidity and ignorance? Those are the two biggest culprits in my opinion. For example, how many times have we seen someone draw a line from a warm month in 1998 to a recent cool month, and calculate what they believe to be a trend? Just dumb. Regarding the woman with the PhD – a person can be really smart in one area but really dense in another. Hard to explain but happens all the time. You may be interested in this – Australian school kids protesting the lack of government action on climate change. Shared. An interesting–and heartening–follow-on to the drubbing the Liberals took in Victoria. Evidently fossil-fuel apologia isn’t playing well these days.